The bureaucrats and professional Catholics in the Chancery office have really stepped in it this time and certain bloggers sure need to eat a little crow. 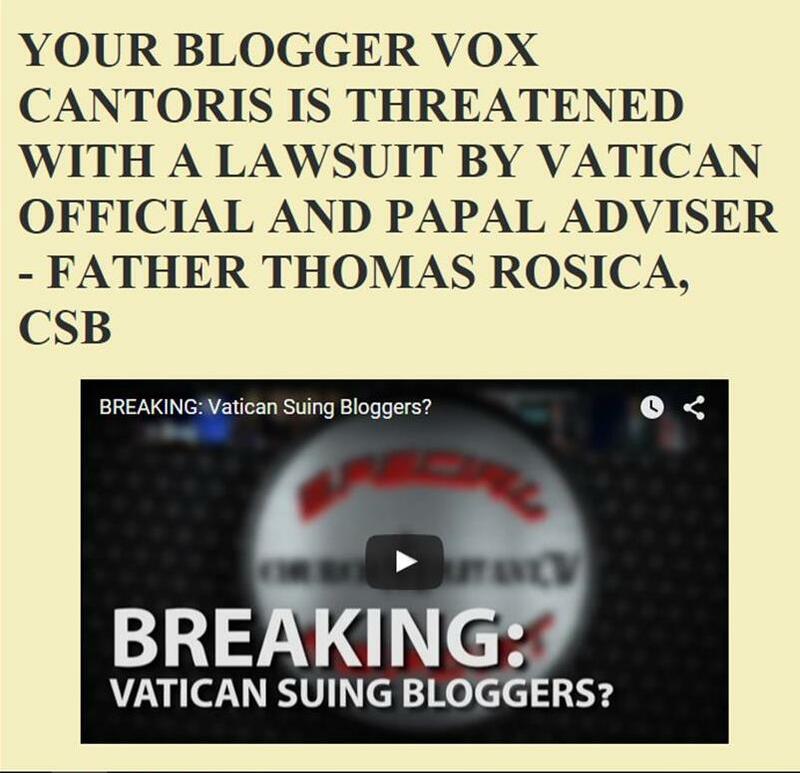 LifeSiteNews explains it all and so does Voris. It is a sad state of affairs when this Catholic man is persecuted given the other goings on allowed in that Archdiocese for decades and you can include the homosexualist supporting Bishop Gumbleton in that regard. A good friend of mine and fellow Catholic blogger in Toronto, Bear-i-tone of The Spirit's Sword has done a good fisk on this and even Mark Shea has linked to it. I don't agree with my friend Bear, but it is worth a read for his intelligent perspective on the matter. The homosexualist agenda continues ... alas. It would also seem that there is an effort to smooth such under the table, behind the smoke and mirrors of "pedophilia". The CCCB foot dragging on the Lahey affair is truly disgusting. They continue, as of today, to maintain the writings of this man on their website. It is hard to believe: a Judas bishop - and yet, his words are deemed acceptable to read by all for spiritual edification? After all, why maintain it?? St. Brother Andre pray for us.